Knowing God’s will. We talk about it, pray about it, even agonize over it. But we often do not feel like we know what God wants us to do. Yet Ephesians 5:17 says, “Do not be foolish, but understand what the will of the Lord is.” We often make it much more mysterious then it needs to be. It is very possible to know and do God’s will. And I am in awe of the amazing hand of God and how He leads. This whole journey began two years ago when God brought us here to Salt Lake City, Utah. We didn’t know at the time why we were here but we knew beyond a shadow of a doubt that this was exactly where we were suppose to be. So we said Yes. and packed up everything we owned…which all fit in a 7×16 trailer and moved 30 hours away from anyone we knew! These past years have really been a huge blessing to us. We have made friends that will last a lifetime and now consider these folks to be family. Getting to watch the commitment and heart of the two pastors I’ve had the amazing privilege of work by Mike Gray and John Prim. They have really taught me a lot, not just on how to do ministry, but why we do ministry. They Love God. Love People. Period. I am so thankful to God for allowing me blessing of working and ministering here in Utah. And to be honest with you we were not ready to move. But God had other plans…Let me start at the beginning on this whole process. It all began a few months back when a family from Ringgold, GA came to SLC and took my family to dinner. It was at that dinner they told us about Rock Bridge Community church being in the early stages of a launch in Ringgold, GA our home town. The wife asked if we were even interested. Kym quickly said “JC Don’t even think about” so I forgot about it. That was until one morning about 3 weeks later I was sitting in my office and my phone rang, I noticed it was from Dalton, GA. It was the executive pastor and he said “Hey man, Well…I’m not really sure where to start with all this but here we go” ha ha…. We talked for a while and I said “Well, I gotta be honest with you..We are settled here in Utah, We know God wanted us here. But, I learned along time ago from my great grandpa that when God opens a door you don’t shut it you walk through it until he closes the door” With that we began the process. Through a few skype meetings and a flight home to meet with the staff for a day and lots and lots of praying and fasting it was startign to become very apparent to us both that this was exactly where God was calling us to go. And as of 3 weeks ago I answered the call to join the Rock Bridge Community Church team. www.Rockbridge.cc as the Ringgold Campus Pastor. There has always been a passion and calling for the people of north Georgia. We knew God would lead us back there someday…Didn’t plan on it being this quick but we know this is exactly where we are suppose to go! I ask that you keep us in your prayers as we take this huge step of faith! I will no longer be in my comfort zone of student ministry but stepping into a new position as a campus pastor…and to be honest that’s a little scary. But, He has called and HE will equip for the calling! Also, for the Ringgold campus…I am so stoked to see what God is going to do in this town! I can’t wait to get started!!! We also have Boy number three Corban Turner Groves coming the first of September…So a new addition to the ever growing Groves family! I read this blog post from Rev. Jonathan K. Twitchell today and it has really helped me out! I’m really not a big fan of moving… It’s really not a lot of fun! I’m sure that some of you happen to be under the misguided delusion that I simply can’t wait to put all of my possessions into boxes and trucks and drive them 8 miles down the road to inhabit 6 Susan Rd. Not that there’s anything wrong with 6 Susan Rd. In fact, I’m looking forward to living at 6 Susan Rd. It’s just the moving part that I’m not really looking forward to. Not that I’m complaining, mind you…but all of us have been through moves, and know the difficulties and hard work which accompany a move. Perhaps I don’t like moving because it seems like we’ve moved a lot in our short five years of marriage. Five years ago, after our honeymoon, we moved many of our belongings to New England Frontier Camp in Lovell, Maine for the summer to serve in the kitchen and on administrative staff. At the end of the summer, we moved all of our belongings into Young Apartments on the campus of Eastern Nazarene College, to finish up our degree programs. A year and a half later, we packed all those belongings up and moved to Topsham, ME to serve at the Brunswick Church of the Nazarene. Two and a half years after that, we packed once again to move to South Portland, in order to follow God’s call to serve here in Cape Elizabeth. And now, only one year and one month later, we begin packing up once again, to move to 6 Susan Rd. I think there are boxes we didn’t even open since the last move! I’d like to think that I have moving down to a science, and that God would stop asking me to practice the skill for a good long time! The problem with moving, is that you have to pack everything up, while you continue to live your life. It’s hard to cook when your kitchen is in boxes. It’s hard to sleep with the knowledge that the slightest earthquake could topple towers of boxes and belongings with a crash. It’s even hard to get dressed in the morning, wondering where that favorite outfit is. Moving forces the organization of our lives to change, and it disrupts the normal patterns and routines of our lives. We tend to be creatures of habit, and enjoy the daily rituals and patterns that define our existence. Moving disrupts all of that, forcing the reorganization of our lives, ending old rituals and beginning new ones. Perhaps that is why many of us resist moving. And then, just when I’m tempted to get discouraged, I hear a scripture text like our Gospel lesson today. Imagine Matthew sitting at his tax collecting booth, doing his work, and making money. Without any introduction, a stranger walks up to him and says, “Follow Me.” Jesus doesn’t tell Matthew His name, where He’s going, or what life will be like when they get there. He simply says, “Follow Me” and Matthew simply gets up…and follows. He doesn’t ask questions or go talk to his best friend about it, he just responds to the call, and does what Jesus asks of him. Imagine such a drastic change in your life. Imagine leaving behind all that you own, all that you love, and all that you hold dear to follow someone you’ve never met, going where you’ve never been, and doing what you’ve never done. This move in Matthew’s life meant a great restructuring and reorganizing of his life. No longer consumed with making money at the tax booth, there would be days ahead when Matthew wouldn’t have a place to sleep, or food to eat. Instead of robbing from others as tax collectors were prone to do, Matthew’s very being would soon be focused on meeting the needs of others, instead of his own. Indeed, following God’s call meant a complete reorganization of his life, around new values and guiding principles. 1 The Lord had said to Abram, “Leave your country, your people and your father’s household and go to the land I will show you. 4 So Abram left, as the Lord had told him; and Lot went with him. Abram was seventy-five years old when he set out from Haran. 5 He took his wife Sarai, his nephew Lot, all the possessions they had accumulated and the people they had acquired in Haran, and they set out for the land of Canaan, and they arrived there. 8 From there he went on toward the hills east of Bethel and pitched his tent, with Bethel on the west and Ai on the east. There he built an altar to the Lord and called on the name of theLord. 9 Then Abram set out and continued toward the Negev. There are three things I notice about the call of God in these passages of Scripture. As we look at Abram and at Matthew, we recognize these qualities in common. The call was simple: God only told them what they needed to know right now. He didn’t give them a complete picture of where they would end up by following His call. Secondly, their response was immediate. They didn’t question, discuss, or debate with God; they simply followed the call. Thirdly, following the call demanded a complete restructuring of the patterns in their lives. As they reorganized their lives to follow God’s leading, He was able to bless them and do wonderful, God-sized things through them. Imagine what it would have been like for Abram to pack all of his belongings, his family, his servants and his herds to move out to an unknown place. He couldn’t go visit his new home ahead of time and measure the living room or the dining room…he didn’t even know what city he was moving to; all God said was “go to the land I will show you.” Abram didn’t know how long he would be traveling, or even how he would know once he arrived. But God called, and so he followed. Often, God simply asks us to follow Him one step at a time. Instead of providing us a roadmap that shows a final destination, God gives us only that which we need to know in order to serve Him today. We would like to know where we are going to end up, but God wants us to have enough faith to follow Him one step at a time. Having faith means that we don’t need to know the end of the story, but that we only need to know what God is asking us to do right now. Faith is more than “believing in God.” Faith is “believing God.” Faith is “believing God” in such a manner that we restructure our lives because of that belief. More than a head knowledge of God’s existence and activity, faith becomes the organizing principle in our lives, because we know that He is active in our lives, guiding our footsteps. When we truly live our lives by faith, we are relying entirely on God’s promises and call, without giving a second thought to our own desires or ambitions. We recognize that we simply need to respond to God’s voice, trusting Him entirely with our lives. God’s call on our lives is like that. He often doesn’t explain Himself to us or give us all of His instructions at once. I think perhaps He knows that we would be overwhelmed if we knew the end of the journey before we set out. Instead, He tells us only what we need to know to fulfill His call right now. He doesn’t explain Himself or give us a complete roadmap. He doesn’t need to, He’s God. 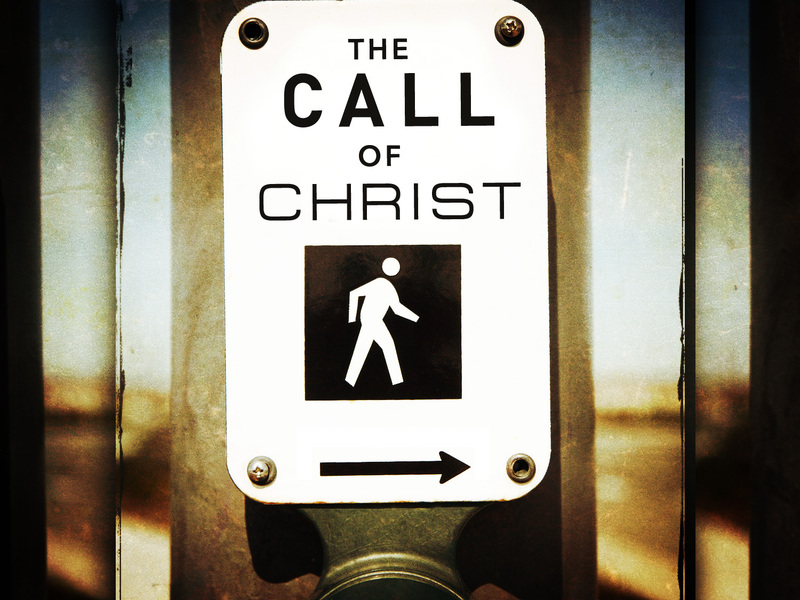 Following God’s call requires a radical faith that trusts Him implicitly, without hesitation. Neither Matthew the tax collector, nor Abram the herdsman took time to negotiate with God. From a plain reading of the text, we don’t see either of these men asking questions, spending days in deliberation, or discussing matters with their families and close friends. Instead, Scripture seems to indicate that they simply answered the call and followed God’s leading in their lives. When God speaks into our lives and calls us to action, our faith should be as simple and obedient as theirs. In following their examples, we are not to deliberate, discuss, or debate, but simply to follow without delay. We are reminded of a pet eager to come to its master; in the same way, we should be eager to drop anything that might get in our way, in order to follow after the Master. This too, requires that we live our lives by faith, recognizing that there is no better place for us to be than in the center of God’s will. God’s call on Abram’s life forced him to reorganize the patterns and structures in his life. His routines were no longer dictated by status, family position, raising flocks or any of the other matter to which he gave attention. Instead, his life was restructured to make God’s will central. With many unanswered questions, Abram does exactly what God told him to do, and went on his way, to the place the God would show him. Following God’s call forces the organization of our life to change, disrupting the normal patterns and routines of our lives. Instead of organizing our lives around our wants, needs and desires, we restructure and reorganize our lives to His pleasure alone, in humble recognition that He has what’s best in store for us. There are many principles by which people organize their lives. Some live their lives to attain as much wealth as possible. Others are interested primarily in having a well-known name. Others organize their lives after the pursuit of luxuries or entertainments. Others desire political power. Still others chase after the pursuit of world peace or social justice. Others live their lives for the pursuit of knowledge and education. These objects of our attention are not necessarily inherently evil, but when they become the primary organizing principle of our lives, we have removed God from the rightful place in our lives. Instead of organizing our lives by these principles, we are to live our lives “To God’s greater glory!” The organizing principle in our life is to be faith in Jesus Christ, God’s son. When we reorganize our lives in such a way, we are more able to hear His voice in our lives, directing us to take that next step of faith. Perhaps we miss hearing His voice in our lives because we have not structured our lives in such a way as to allow Him to make His call clear. Perhaps we fail to do the wonderful, miraculous God-sized thing He intends for us because we fail to be faithful in obediently taking that first step of faith. Has your life been reorganized? Has the call of God been so clear to you that you have restructured the very patterns and routines of your life in order to live your life to His greater glory? Is there a real sense in your life that Christ is leading you every step of the way? Allowing your faith in God to become the organizing principle of your entire life will allow you hear His voice more clearly, and to respond to His call more fully. God does not leave us alone to follow His call. Throughout history, when God calls a person or group of people to go somewhere or do something, He goes with them and directs their paths every step of the way. Noah was led by God in the building of the ark. He was then cared for by God’s hand as the boat floated upon the floodwaters. Abram was called and led by God to the promised land. The Israelites were led out of Egypt by a pillar of fire and cloud. The disciples were led by the very Son of God as He established His kingdom on this earth. Missionaries have been led through difficult and trying circumstances. Church planters have been given the vision and guidance to do God’s work in new areas. And, you and I have been led by the very hand of God to this point in our lives. I’m encouraged today to know that God has not simply left us to figure out the answers on our own. He doesn’t expect us to determine the best course of action for our lives on our own. Instead, He leads us. Jesus walks with us, guiding our very footsteps in paths of righteousness. Because of that, we can have the courage and boldness to live each day by faith alone, following God’s call on our lives. Let us reorganize our lives in such a way that we allow our faith in God’s Son, Jesus the Christ, to become the guiding principle of our lives. Let us seek only His glory and honor, being willing to quickly and simply follow His call on our lives. Rock Bridge Community Church is turning 10 years old!